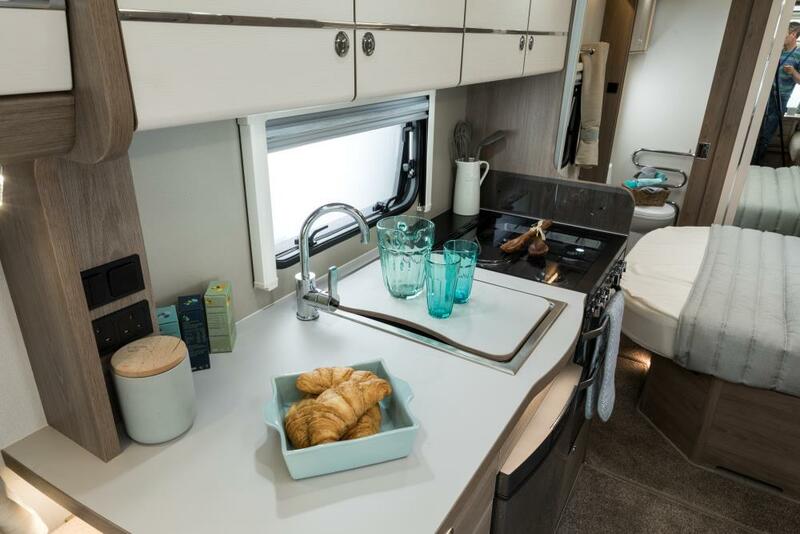 A best-selling layout, the transverse island bed layout benefits from a fullwidth rear bathroom. 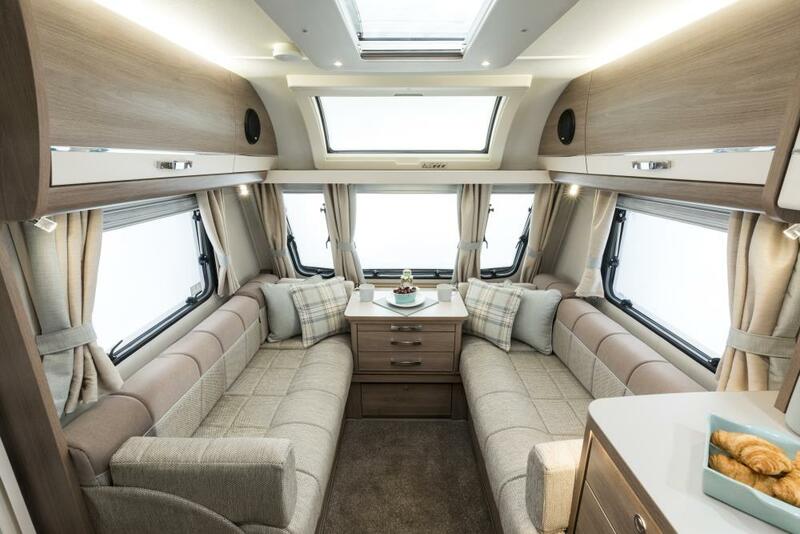 Creating a bright open feel, accentuated by the Sky-Scape panoramic front window and Stargazer rooflight, its easy to appreciate the 554s appeal! 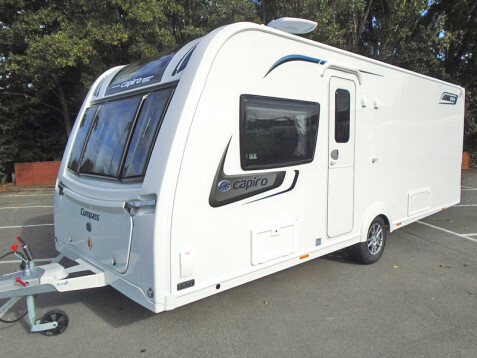 The Compass Capiro range from Compass is stylish and sophisticated, with infinite appeal. 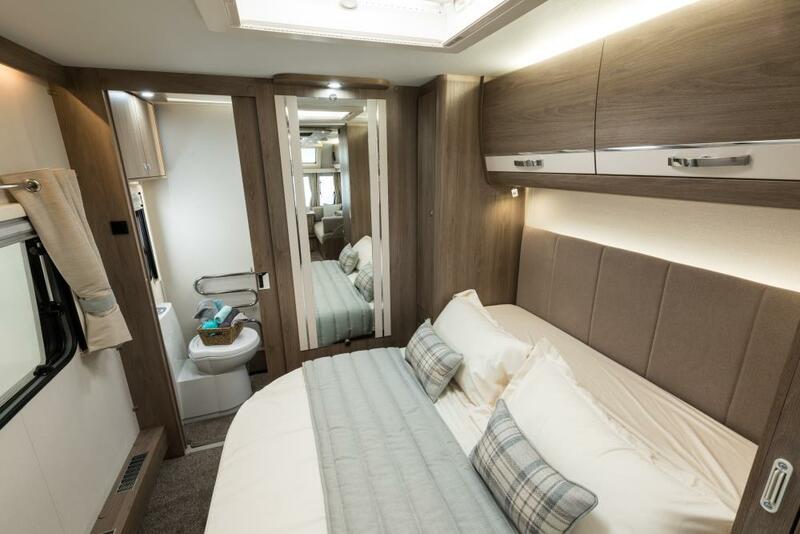 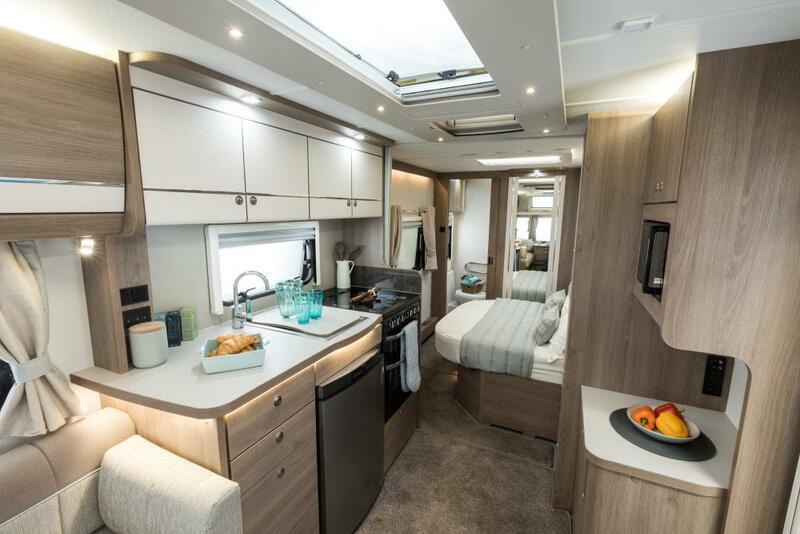 This luxurious yet lightweight range of touring caravans boasts ALDEs central heating system and seriously good specification - yet every model weighs less than 1500kgs MTPLM! All models are single-axle and under 1500kgs MTPLM, AL-KO Chassis with AKS 3004 stabiliser and ATC, StrongLite Aluminium one-piece sides  up to 40% stronger and 30% lighter, Stone-chip resistant front panel, NEW Illuminated gas locker, NEW Graphics, Balanced wheels, Spare wheel and underslung carrier, External Gas barbecue point, Exterior access locker door with 230V socket, Sky-Scape panoramic sunroof. 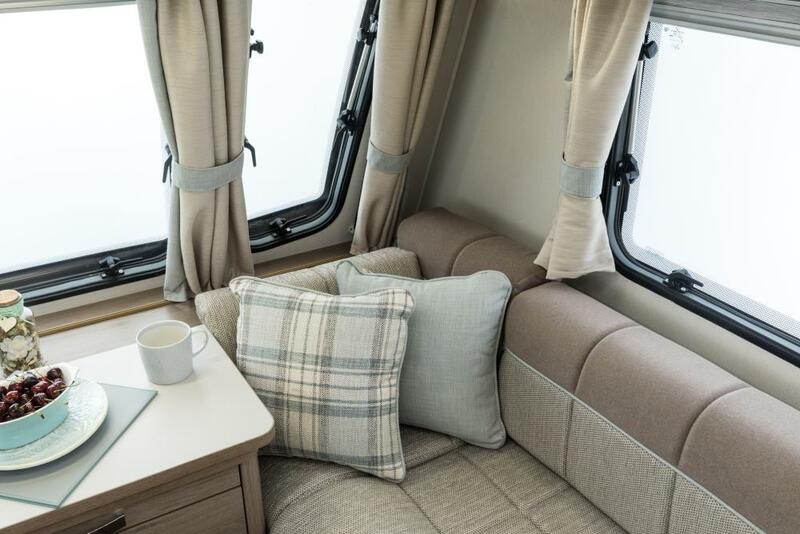 Stargazer rooflight, Alde 24hr central and water heating system, ALDE Load Monitor  never trip out your electrics!, Grade III Thermal Insulation for year-round use, NEW Interior design: Hampton, Aquaclean upholstery  wipes clean with water, OZIO Upholstery  Cool in Summer, Warm in Winter, Pleated blinds, NEW LED reading lights, NEW Style switches and sockets, NEW Locker door handles, NEW Bathroom accessories and EXTRA towel hooks, NEW Concealed lighting under Kitchen worktops, NEW Oven and grill, Dual fuel hob, Microwave, EcoCamel water-saving shower, Heated towel rail, Back-lit bathroom vanity mirror, Retractable bed  creating 40cm extra floorspace in daytime mode, Craftsman-built cabinetry with positive locking.